Lower Hyde Holiday Park promises superb entertainment including non-stop fun for the kids. 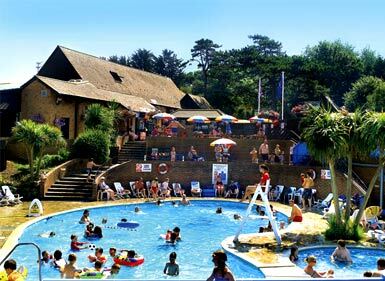 Lower Hyde Holiday Park is close to the fun, coastal town of Shanklin and some of the most popular golden sandy beaches on the Island. The kids can enjoy non-stop fun in the outdoor pool with waterslide, while you relax on the suntrap patio. Why not challenge the family to a game on the multi sports court. Later on, relax with a drink in Hudson´s Bar before going on to Squires Showbar for competitions, dancing and superb family shows. Lower Hyde Holiday Park offers a wide range of self catering accommodation designed with your comfort in mind.